MOUNT CLEMENS, MI – JB Cutting’s corporate headquarters in Mount Clemens, MI completed a $300,000 total renovation project to convert the 3,000 square foot combined office and break room into an open office by re-imagining the layout and diminishing some of the under-utilized break room. The project was designed by M1/DTW, a Detroit-based design studio which excels at delivering innovative projects to clients. 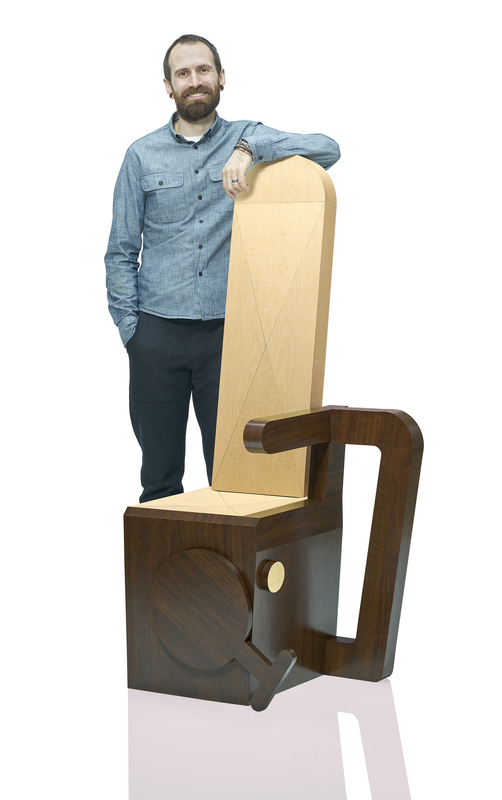 JB Cutting has worked with M1/DTW on several projects, including their award-winning 6 Salon design in Birmingham, MI (named “Salon of the Year” in 2014). 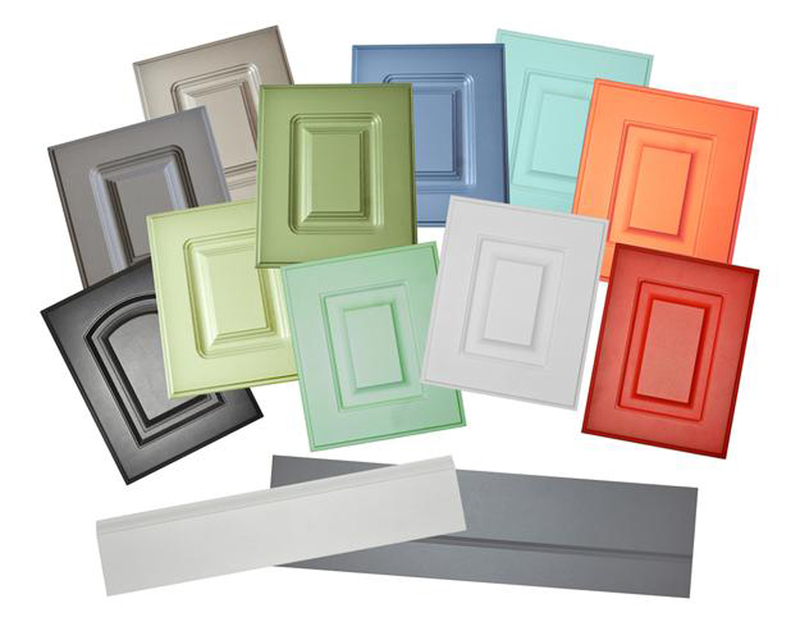 In addition to their trademark use of “Skid-Guard,” a high-density overlaid plywood, M1/DTW specified Snow and Moonlight, colors out of JB Cutting’s Benchmark Collection of 3DL doors, drawer fronts and accessories. Work hard, invest your time and you will succeed. The mantra has proven to be a winning one for Debbie Behring as the president of JB Cutting leads the components firm on the road to success. To maintain business operations, office staff was moved into trailers adjacent to the main building. 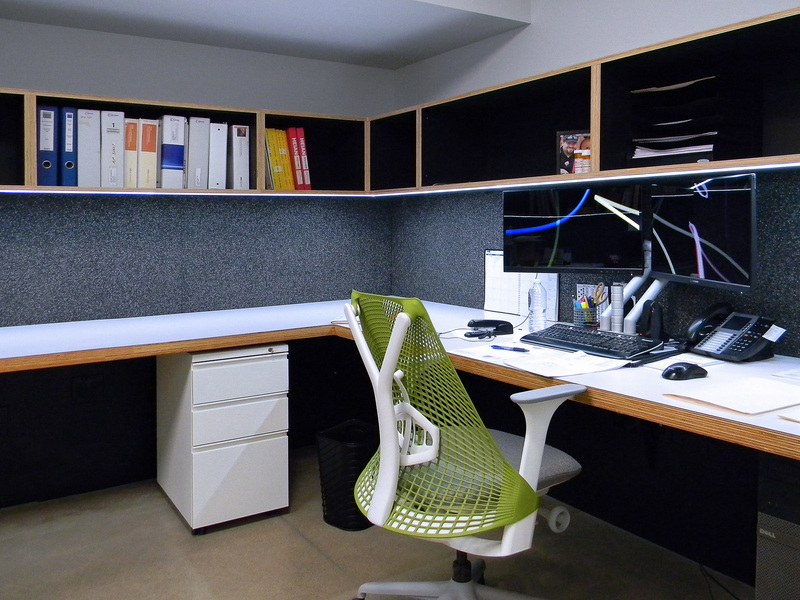 The interior design features cubicle work stations for each office worker, with production management and procurement located in their own work area on the opposite side of a shared kitchenette. 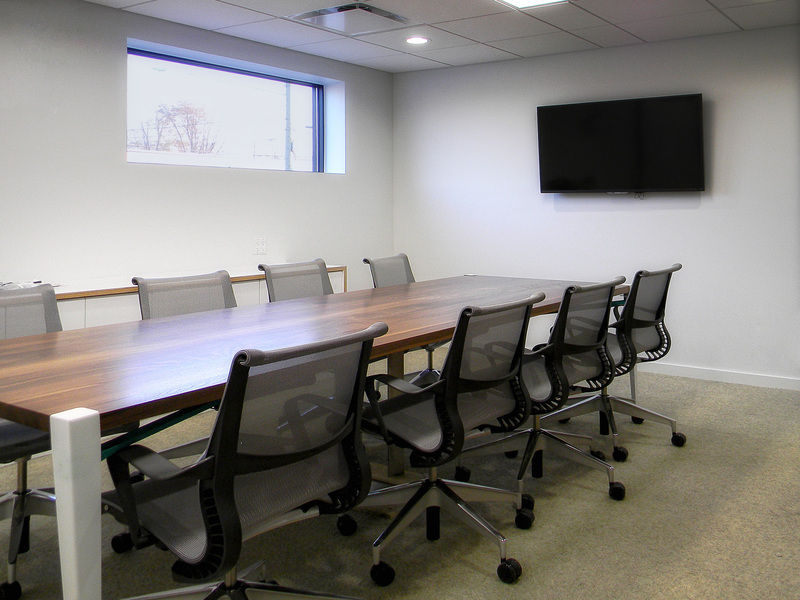 A glass-enclosed conference room is at the center of the office and includes a new 50” flat screen for PowerPoint presentations or shared screen sessions. 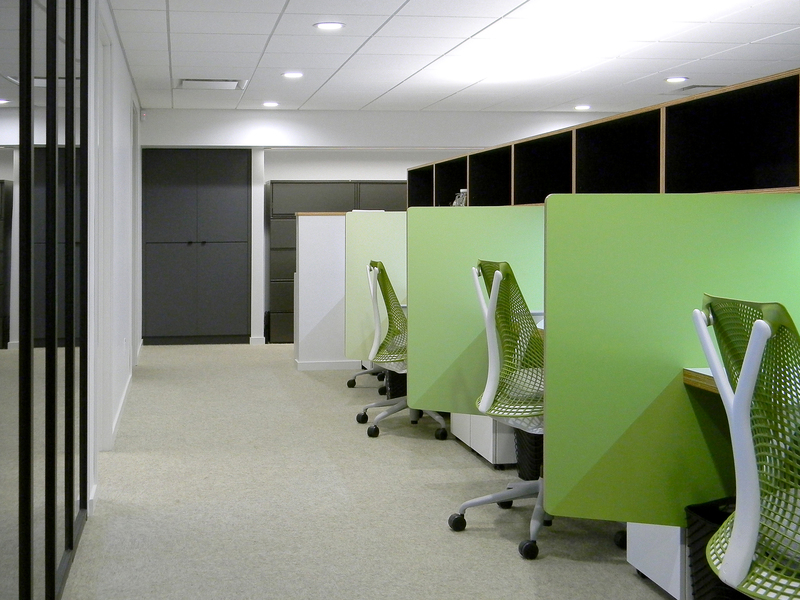 The renovation was undertaken to facilitate work flow and to give each employee their own space. The sleek finishes and streamlined design make for a cohesive layout that emphasizes collaboration while allowing individuals to have their own space, which promotes productivity.